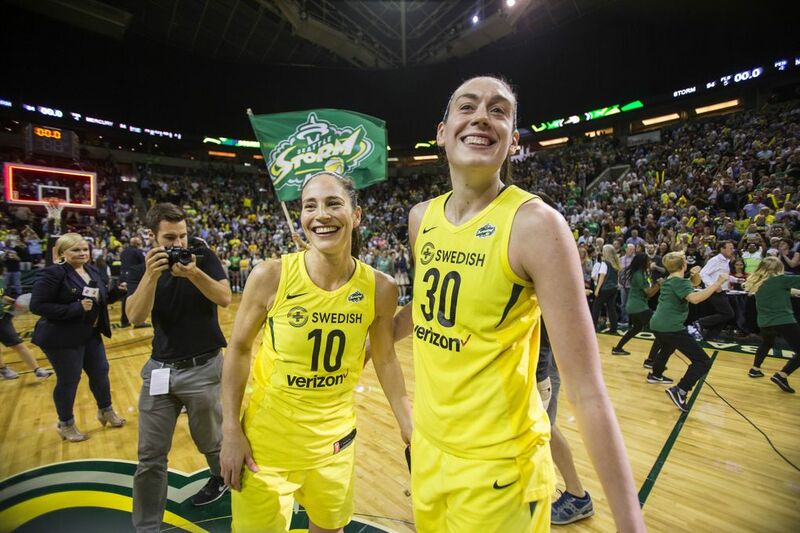 Breanna Stewart scored 28 points and Sue Bird scored 14 of her 22 points in the fourth quarter as the Storm fought back in the fourth quarter to clinch a WNBA Finals berth. 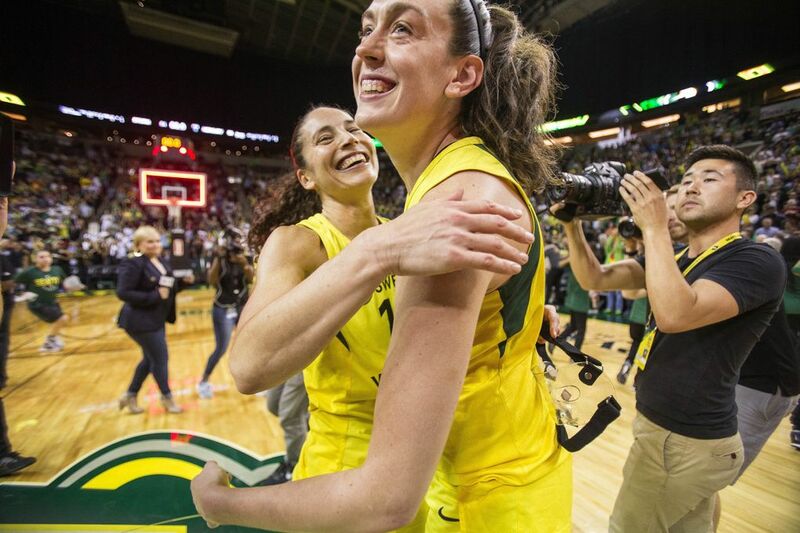 When it was over, Diana Taurasi tracked down her rival and best friend Sue Bird in a KeyArena tunnel outside the Storm locker room and said what everyone in the building was thinking. Taurasi is hailed as the WNBA’s greatest closer, with a fiery temper, a deadly jump shot and and reputation for taking over games. 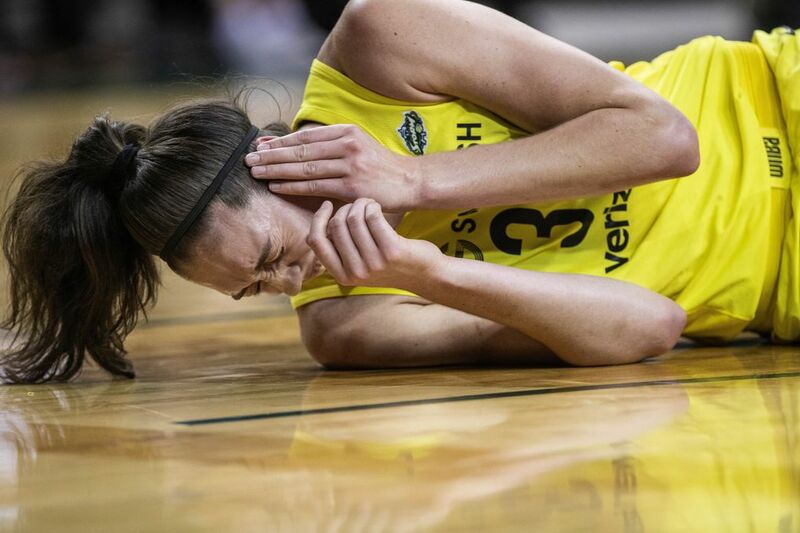 Why, Breanna Stewart had a tip for her, that’s what, Sue Bird says. 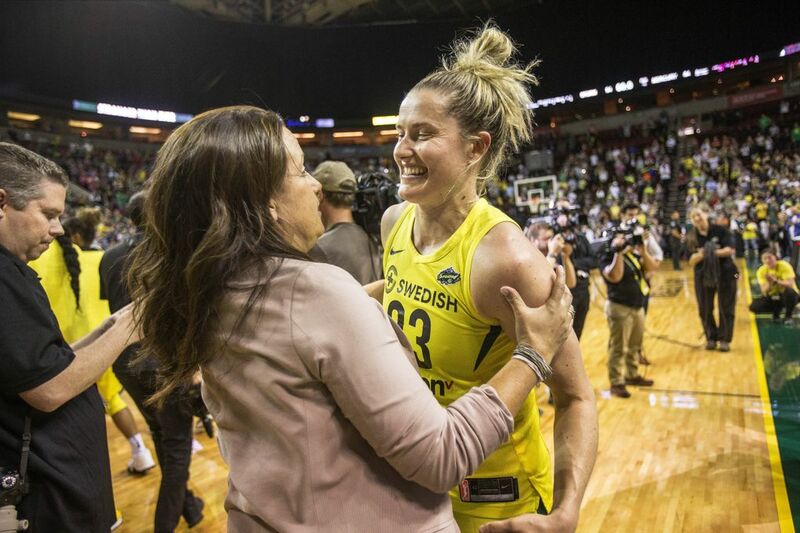 Bird had 14 fourth quarter points to fuel the Storm to a win and a WNBA Finals berth. 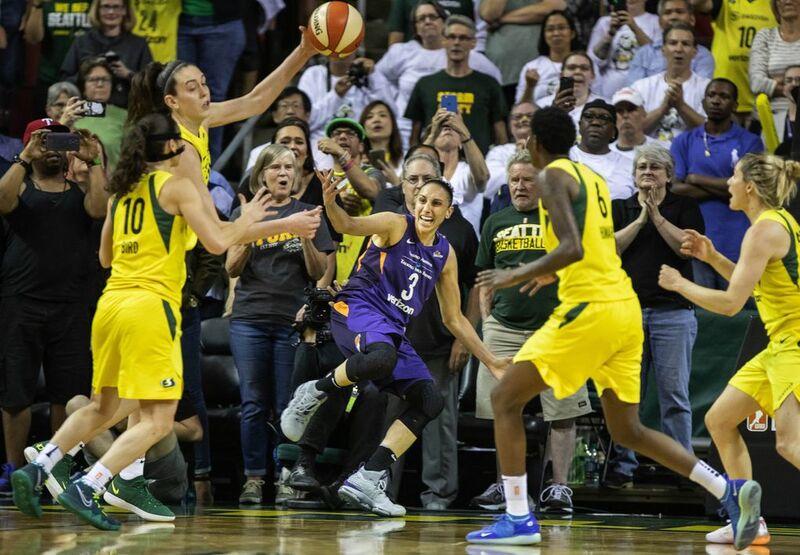 But on Tuesday night in a winner-take-all Game 5 in the WNBA semifinal — the kind of games Taurasi won 13 straight times – it was Bird who produced a Taurasi-esque performance while delivering a sensational stretch of scoring when the Storm needed it the most. 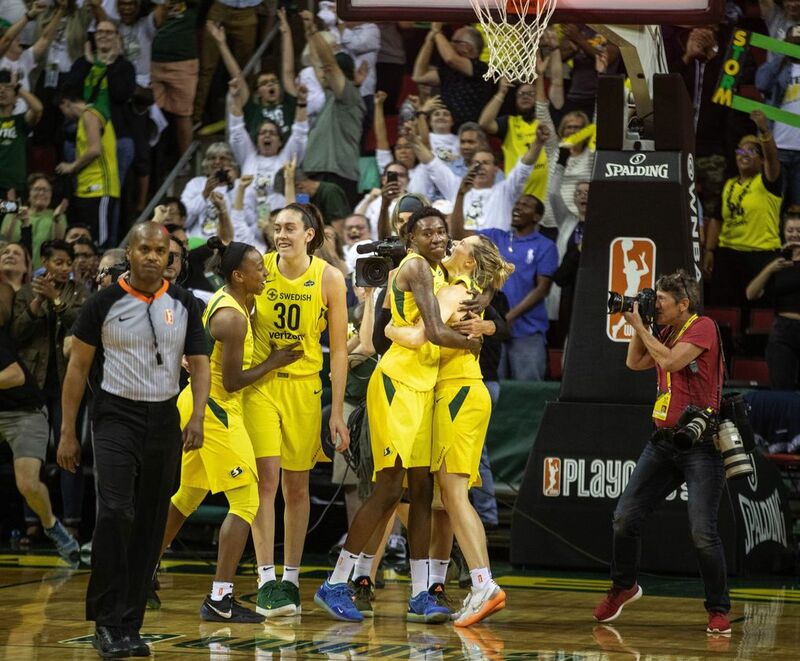 Usually the steely-cool point guard picks teams apart with passes to set up teammates, but this time Bird – perhaps fueled by an uncharacteristic emotional outburst – made the biggest shots in the final minutes of a 94-84 victory that sent Seattle to the WNBA Finals to face the Washington Mystics. Bird wouldn’t let the Storm lose this game. 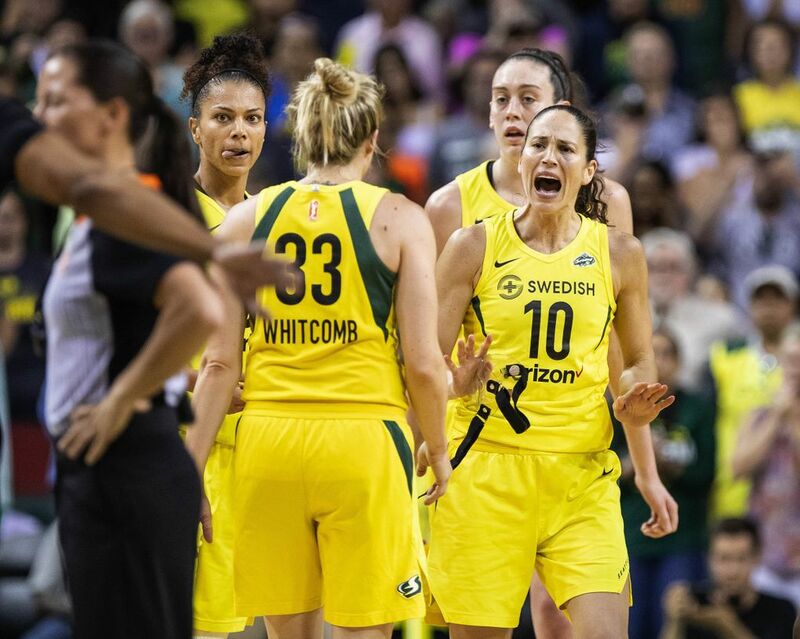 It didn’t matter that the top-seeded Storm had lost momentum in the best-of-five series and was the first WNBA team forced to a decisive Game 5 after leading 2-0. And it didn’t matter if the No. 5 Mercury raced to an 11-point lead in the second quarter and controlled most of the game. Seattle took its first lead (66-63) with 8:37 left after rookie guard Jordin Canada made a three-pointer. Phoenix answered with a 10-3 run to go up 73-69 with 6:06 left. That’s when Bird’s onslaught began. Through three quarters she connected on just 3 of 12 shots and missed her previous eight attempts. “Honestly, Stewie is the one somewhere late in the third or early fourth quarter who said, ‘Hey, you need to use your legs.’ And I was like, ‘Oh yeah, good point,’” Bird said. “A lot of the shots I’d been taking in that third quarter I was really short. On the next possession after falling behind four points, Bird sank a three-pointer to cut Seattle’s deficit to 73-72. A minute later, she knocked down a step-back jumper to put the Storm on top 76-75. After Phoenix tied the score, Bird hit a 28-footer that gave the Storm the lead for good at 79-76 with 4:01 left. 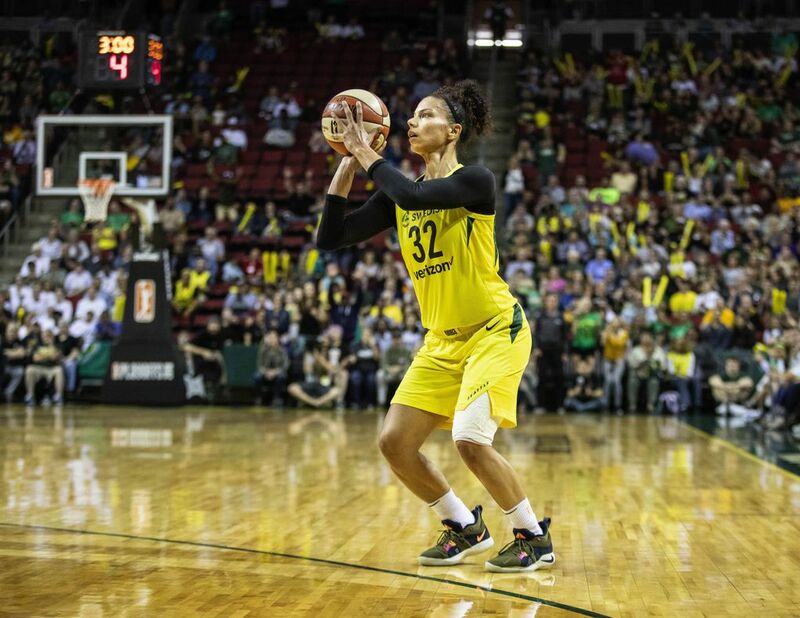 “I don’t know if I’ve ever seen a performance from Sue like that,” forward Crystal Langhorne said. “She was so clutch. You could see the champion in her. 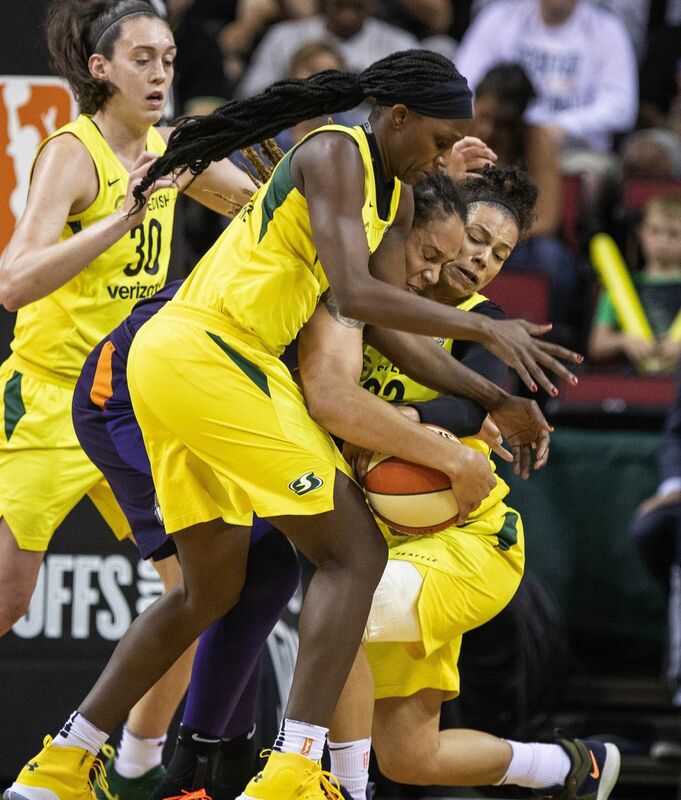 With less than three minutes left, Bird got tangled with Phoenix forward DeWanna Bonner and the two players hit the floor wrestling for the ball. Bird got up heated and needed to be restrained by teammates while pleading for a foul and arguing with officials, who called for a jump ball. 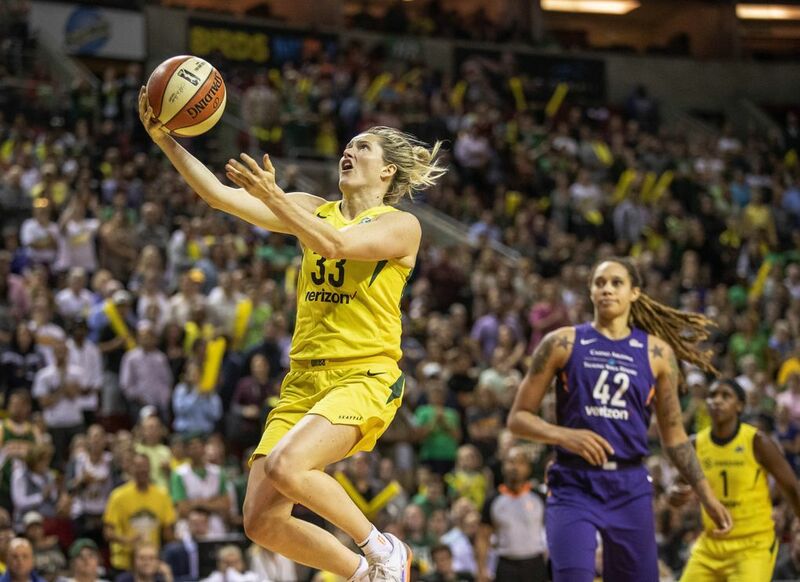 Still, it was a burst of emotion Storm players have rarely seen from the 17-year veteran, who has won the league’s Kim Perrot Sportsmanship award the past two years. 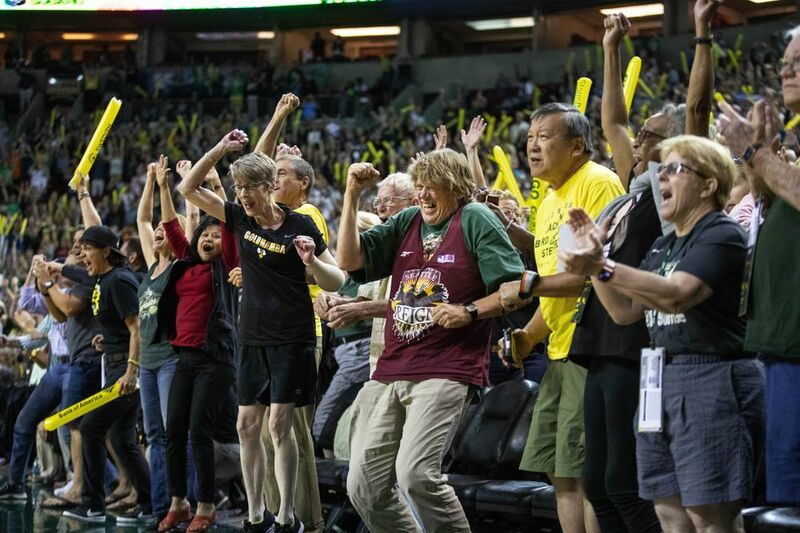 The Storm won the possession on the jump ball and the play ended with Bird making a three-pointer for an eight-point lead (84-76) with 2:51 left. 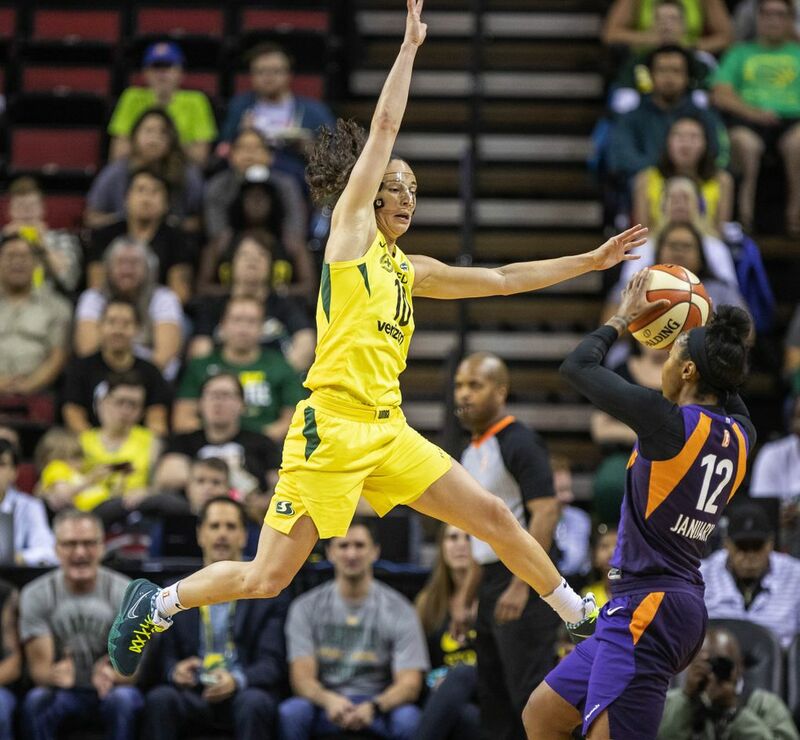 And Bird capped her sensational performance with a dagger three-pointer that dropped Phoenix into a 10-point hole (89-79) with 45.9 seconds left and sent the 8,992 at KeyArena into a frenzy. Bird, who had five assists, connected on 8 of 18 shots, including 5 of 11 three-pointers. 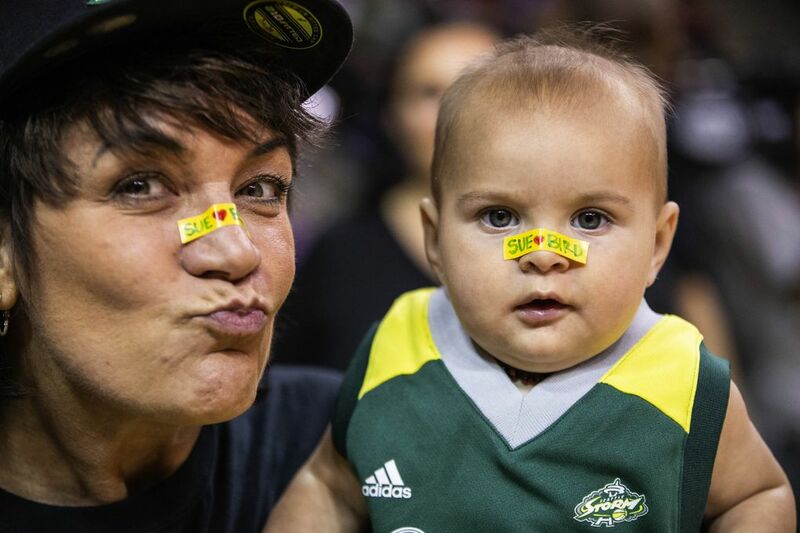 She outscored Phoenix 14-11 over the final six minutes. “I’ve seen a lot of moments, but I’ve never seen a better moment than what I saw tonight from her,” Storm coach Dan Hughes said. “She was highly skilled in being driven. Going down the stretch it was amazing the confidence she elicits and seeks those moments. Before Tuesday, the Storm was averaging 11.8 points in the fourth quarter compared to Mercury’s 23.5. 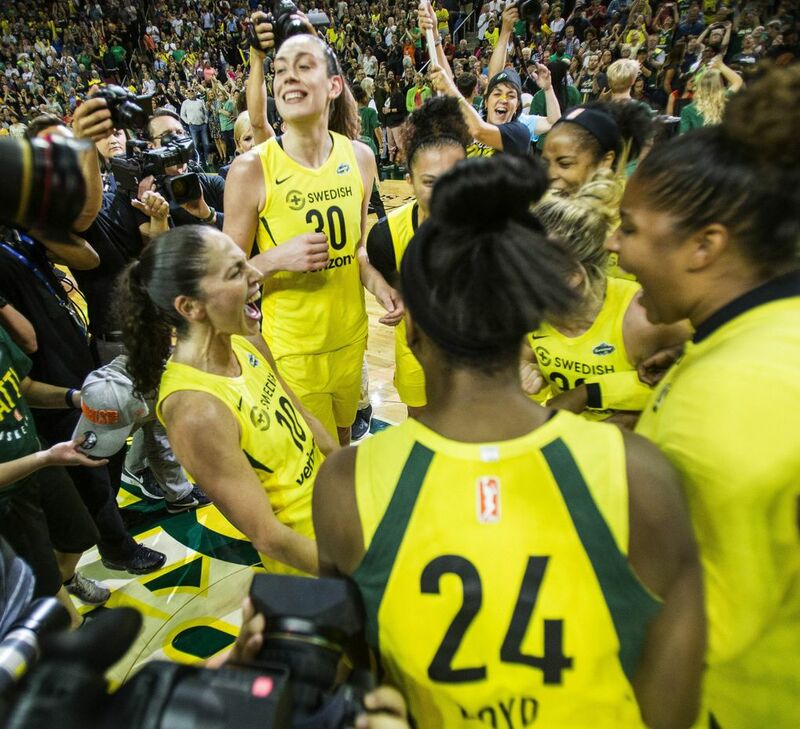 But in Game 5, Seattle outscored Phoenix 35-21 in the fourth – a franchise playoff record for points in a quarter. 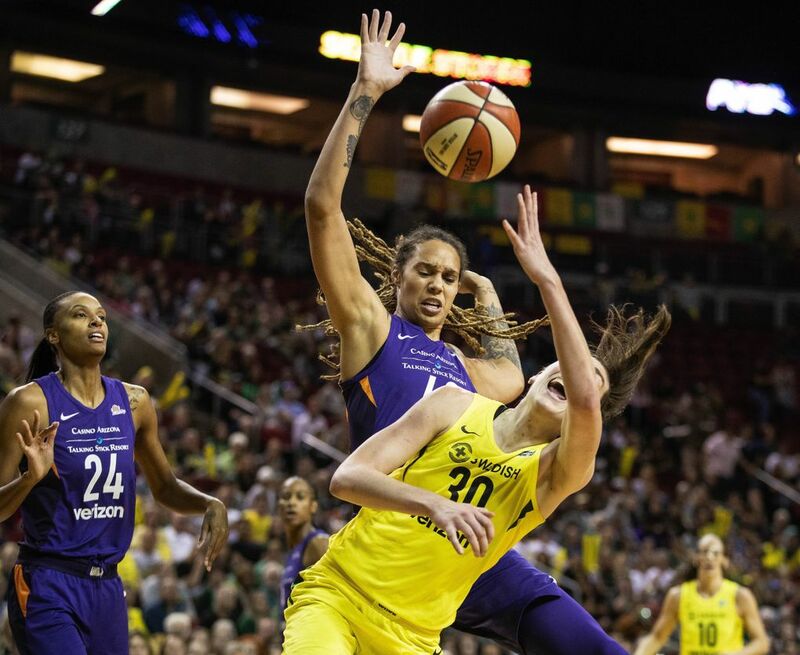 Whenever the Mercury missed, forward Alysha Clark, who collected 13 points and a career playoff high 13 rebounds, seemingly grabbed every loose ball. 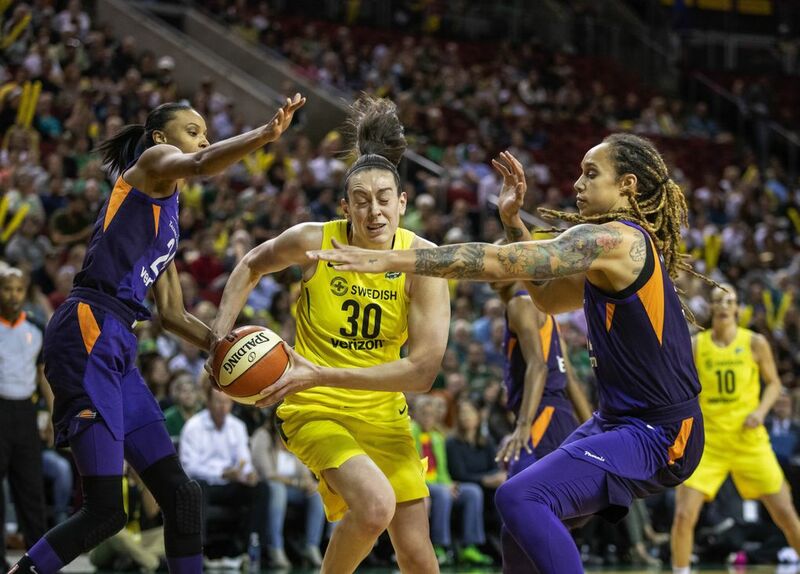 Seattle outrebounded Phoenix 40-29 and had 11 offensive rebounds, which led to an 18-6 disparity in second-chance points. Thanks to Bird’s red-hot shooting, the Storm also enjoyed an advantage on the perimeter. Seattle converted 11 of 25 three-pointers (44 percent) while Phoenix was 8 for 28 (28.6 percent) behind the arc. 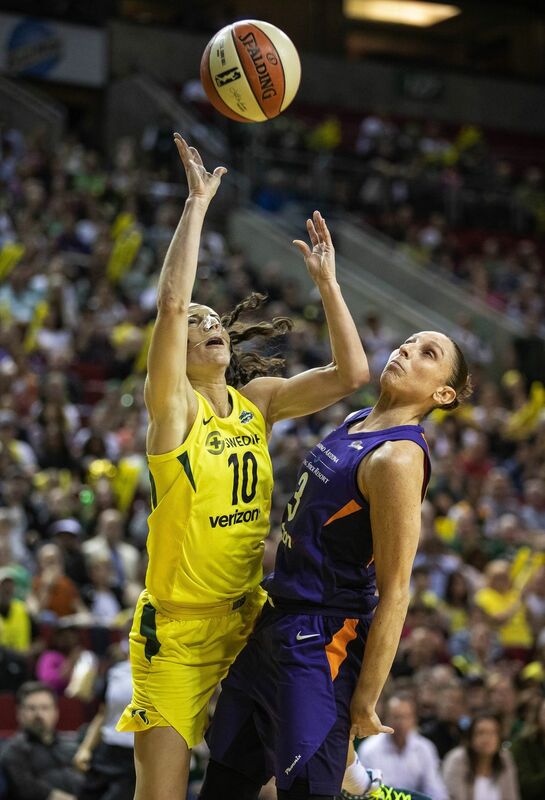 This time Bird outdueled her buddy Taurasi, who finished with 17 points. 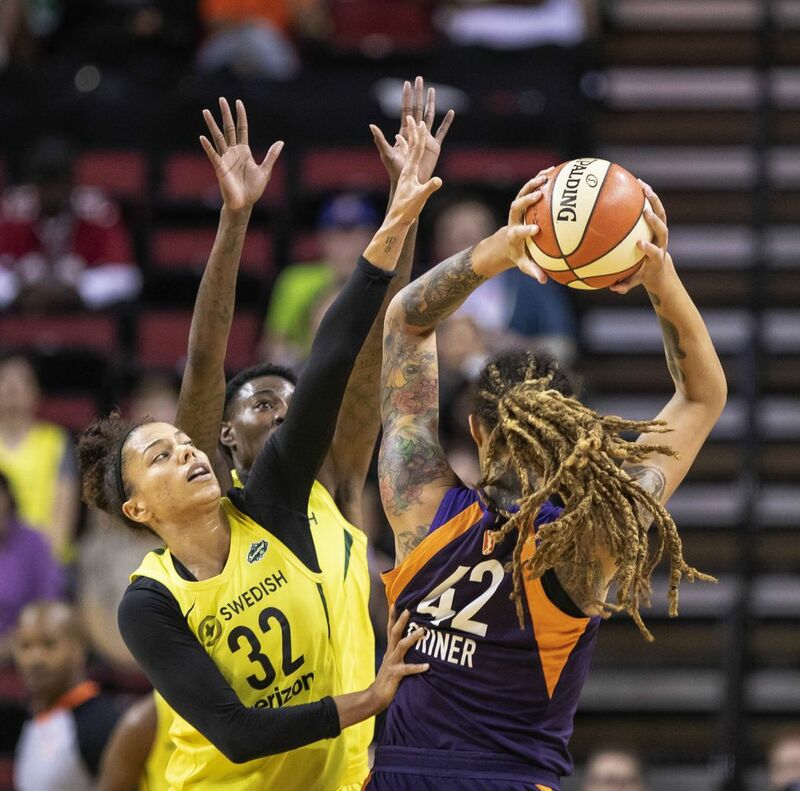 Phoenix received 21 points from Brittney Griner and 19 from Yvonne Turner. Bonner added 14 and Briann January scored 11 for the Mercury, which was knocked out in the semifinals for the third straight year. 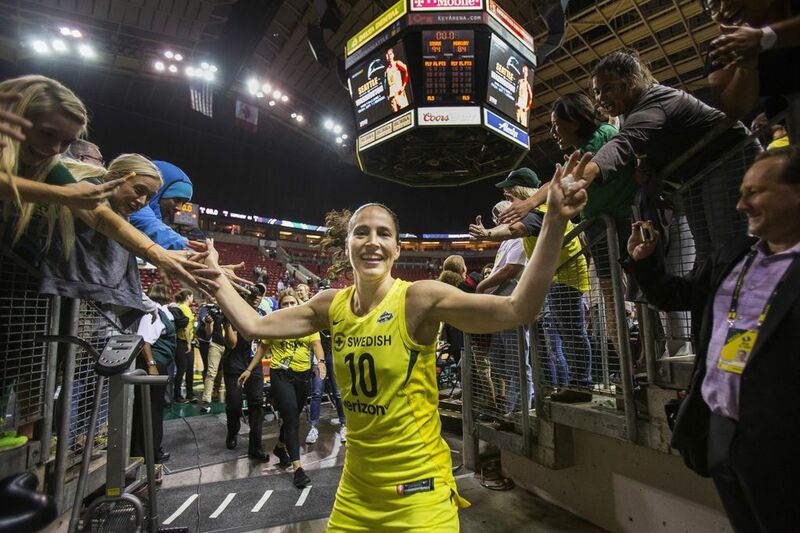 Meanwhile, Bird, who won league titles in 2004 and 2010 with the Storm, returns to the WNBA Finals for the third time. Game 1 is 6 p.m. Friday at KeyArena. “It means a lot,” said Bird, the league’s oldest player at 37. “Your first time around, you kind of feel like … yeah, this is great. I’m 23, I’m probably going to be here all the time. This is great, I’m going to be here every year. And then I didn’t get back for six years. 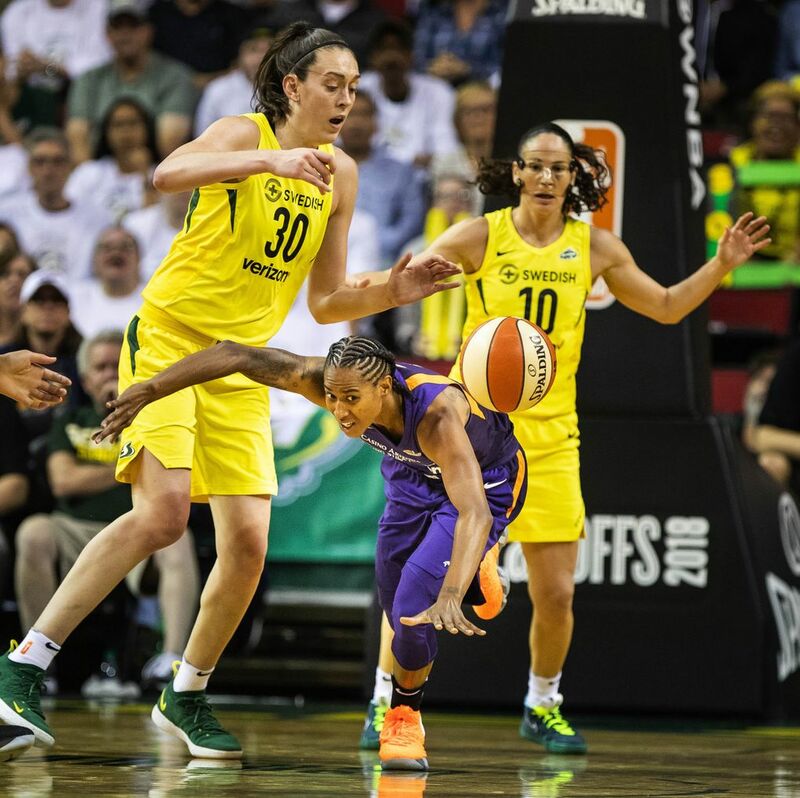 In a game in which the Storm never looked like the dominant team, Seattle turned the tables on the visiting Mercury in the fourth quarter, and Breanna Stewart and Sue Bird powered the Storm to a huge 94-84 victory.